Wine one of the best known Windows emulation systems under Linux platform now has an excellent graphical environment called WineXS. Many Windows applications when installed in Wine can give us some problems in most cases are resolved by changing the settings, from now on you can do so much easier with WineXS. 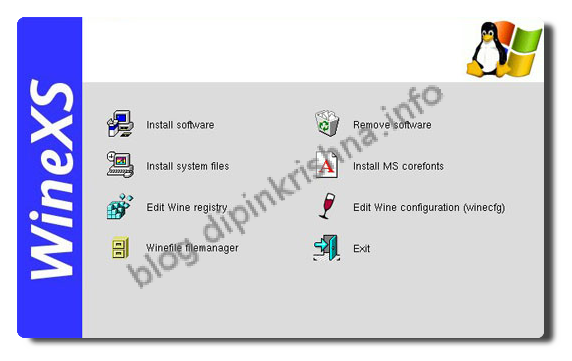 As you can see in the image WineXS includes an installer and uninstaller software, add fonts, change the registry, edit the configuration and many among others. WineXS is a wonderful tool for Wine and with it you will not need to re-use Windows anymore.